It’s tough to know where to take your vehicle if you think you are in need of repairs or maintenance. Let’s have a look at what you should watch for. Look for an automotive shop that has experience. Watch for length of service and areas of expertise. For example, if you need an engine repair you want a mechanics shop that has a reputation for quality work. If you need a transmission repair than you want to know they are experienced in transmission repair. Look for a service center that has mechanics and technicians that are up to date in their training taking seminars and staying current. You also want to take your car to a shop that has a reputation for being reliable – getting the work they promised done on time and on budget. It’s a good idea to give the BBB a call and find out whether the auto center has had any complaints and if so which mechanic and what type of complaints. Online offers some terrific services relating to grading auto mechanic shops. There are message boards, forums, sites that rate auto repair shops, and the list goes on. There’s so many excellent resources online. Be sure to take advantage of them. 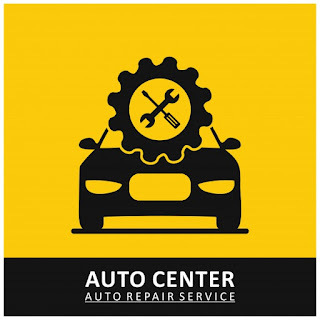 In cases where you may find yourself facing a large repair bill, don’t be afraid to ask for references from the auto service center. If the garage chooses not to provide you with references, you should look elsewhere. Make sure the mechanics on staff are certified in the areas you require work in. Look to see how many certifications the mechanic has. The more certifications, the more likely the mechanic is really into what he does and shows a real interest for the trade itself. When you find yourself with an automotive problem, don’t be afraid to ask the service writer and/or mechanic questions. You likely have concerns and you should be able to get answers so that you can confidently move ahead with getting the repairs done. There you have it. Tons of great tips to help you keep your vehicle looking and running great. These tips will leave you with time and money on your hands. Taking care of your vehicle means you can look forward to years of problem free driving. What more can you ask for? A car that’s reliable, dependable, and costs little in repairs is everyone’s dream car. These tips will help you own that car.